Craving something pizza-y but don’t want all the bread (crust)? 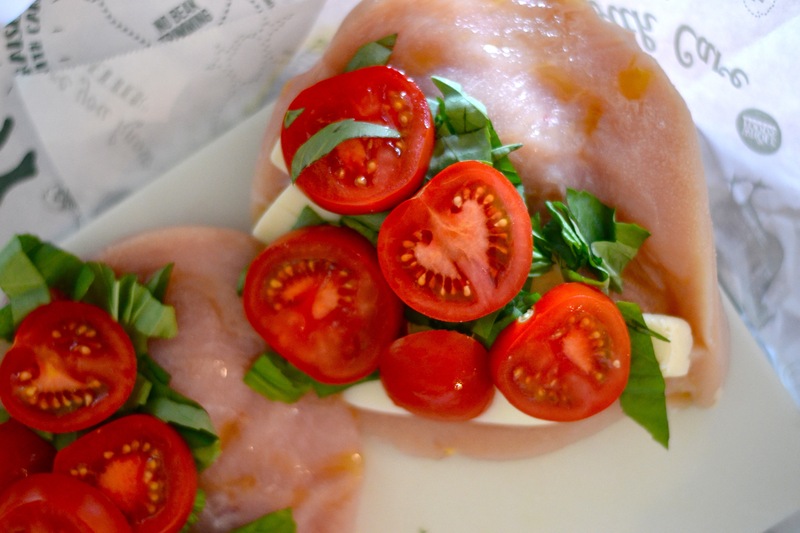 I’m calling this super easy to prepare dish “caprese stuffed chicken” after the now classic salad made of sliced tomatoes, fresh mozzarella and fresh torn basil. This recipe has been in my recipe folder since my days in London–more than half a decade ago! It had gotten tucked behind some other chicken recipe and I completely forgot about it. 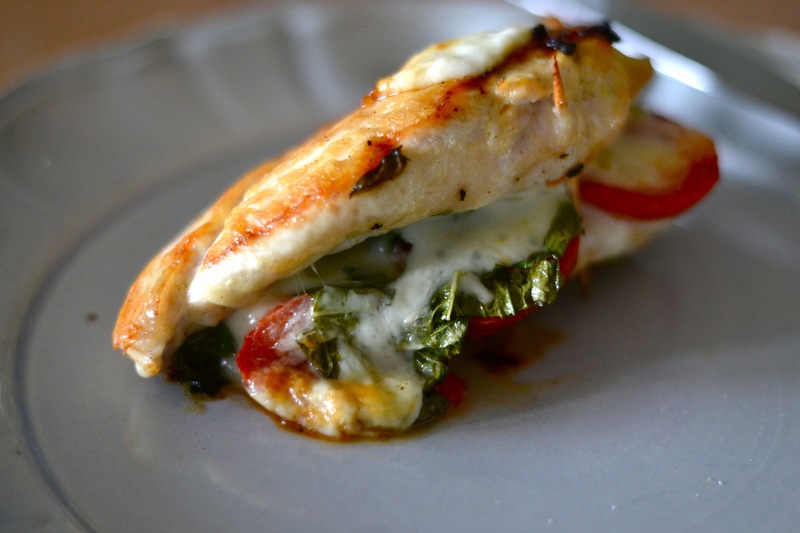 I stumbled upon it recently as I was resorting and refiling recipes, and made it last week. It’s fast, easy and delicious! The trickiest part is securing the cut chicken breast once you’ve stuffed all the other ingredients inside. I used a toothpick, which worked fine, but get creative–you might find a better way. 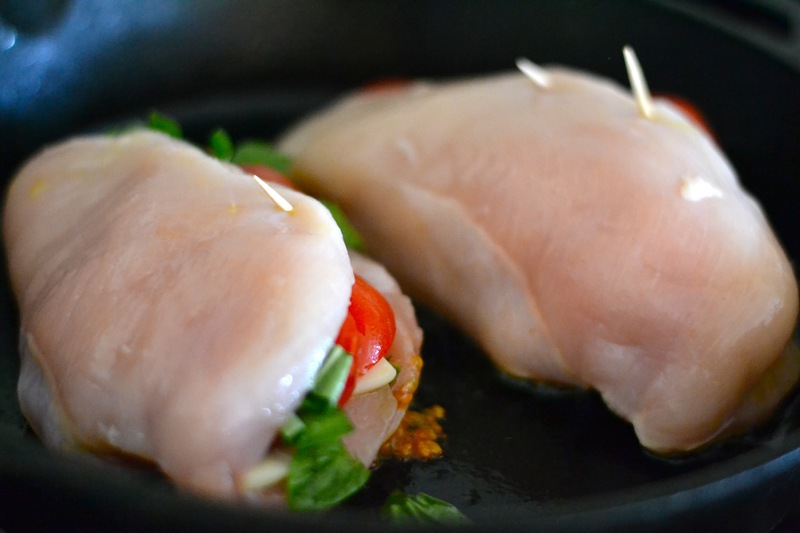 Using a sharp knife, cut a horizontal slit in each chicken breast to make a pocket. Make it deep enough you can stuff in all the other ingredients. Salt and pepper the chicken breast on all sides, including in the pocket you just cut. 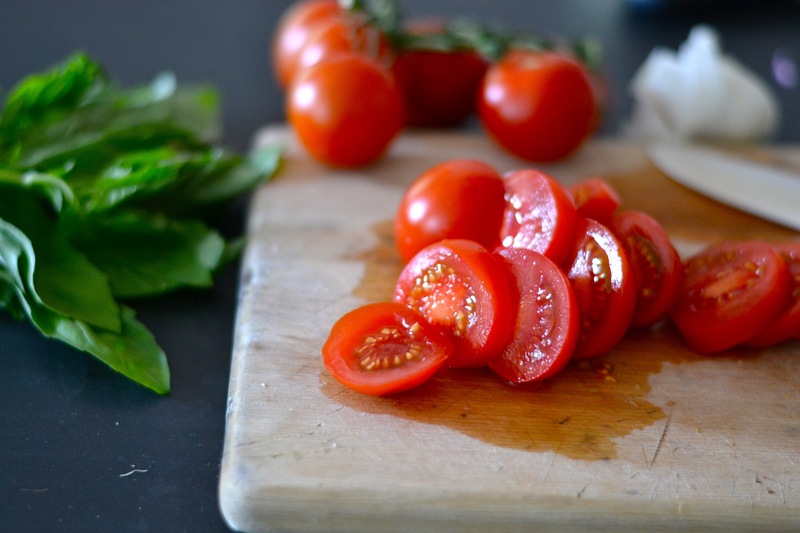 Stuff the slices of cheese, fresh-torn basil leaves and tomatoes inside the pocket and close. Secure with toothpicks. Drizzle the chicken with olive oil. 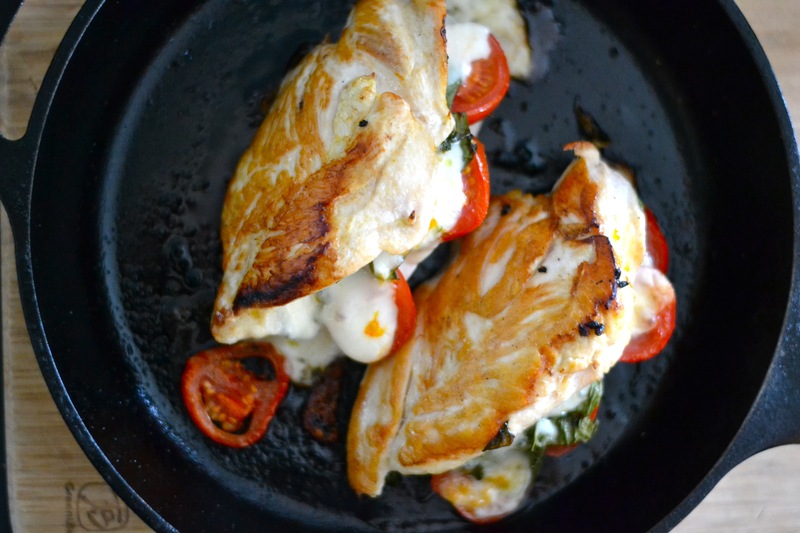 In a medium-size skillet (preferably cast iron! ), brown the chicken breasts on both sides, about 5 minutes each side. After browning, place the skillet in the oven for 15-20 minutes. Serve with a side salad or grilled vegetables. Hello, i read your blog from time to time and i own a similar one and i was just wondering if you get a lot of spam remarks? If so how do you reduce it, any plugin or anything you can advise? I get so much lately it’s driving me crazy so any help is very much appreciated. Hello, Thanks for reading my blog. I so get spam remarks, but not enough at this point to really bother me. I haven’t researched how to protect against them, but I will try to make the time to do so.